If you've been wondering how to train your dog or puppy in Maple Ridge then look no further. The Best dog and pupy trainer in Maple Ridge is Sit Happens Dog Training. You might have seen one of our Maple Ridge dog trainers at a park near your home or office? If you're wanting a local dog trainer, Maple Ridge's most experienced dog and puppy training service has you covered. We've helped train 1,000s of Maple Ridge dogs, puppies, and their owners, so next time you see us, give us a wave! Sit Happens is the leading Dog and Puppy trainer in Maple Ridge. 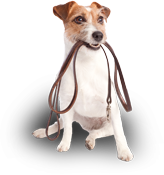 Getting your dog properly trained by a Sit Happen's dog trainers is a great investment because a well trained dog allows you to spend more time enjoying things to do in Maple Ridge with your dog or puppy and less time frustrated and angry. Dogs are a bundle of love, mixed with a lot of work, and they have a mind of their own some days. Starting as puppies, dogs seem to follow any smell, noise, or qick movement. It helps them make sense of the world around them. This can be a challenge for dog owners, especially if your family pet likes to lick, nibble, bite, chew, jump, or is too friendly with people or other animals. Maybe your couch and slippers have a story to tell as well? Come, sit, heel, stay, and lie down are critical commands and your pet will get taught these basics in an easy and effective way. Your dog will learn quickly and follow your commands under circumstances that now are likely very frustrating and challenging. Our local dog training service will help make you and your dog or puppy become more confident. You'll be able to take your family pet anywhere. They will always be on their best behaviour, and you can relax knowing you have complete control over your dog's actions. No more unnecessary barking, nipping, licking, jumping, or digging. Quality time with a puppy or dog that listens and follows every command. 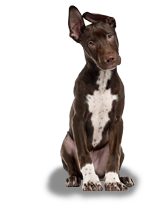 Sit Happens Dog Training in Maple Ridge delivers amazing dog and puppy training programs that work. Your dogs's training starts with 1 on 1 training sessions in the convenience of your own home. This provides a foundation for your dog or puppy to build on. We start training puppies at 8-10 weeks old. Unlimited group-based park training for the life of your dog is included in your dog training program. During these training sessions, both you and your dog or puppy, can make new friends and learn new training skills. 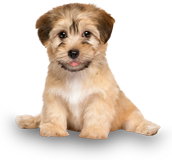 Sit Happens Dog Training in Maple Ridge offers a FREE consultation so you can ask questions, and see for yourself what is possible with professional dog and puppy training. Just give us a call or fill in the accompanying form and we'll be in touch. Maple Ridge Dog & Puppy training for every need.